The Pacific Northwest, that little corner of the U.S. tucked between California (to the south) and British Columbia (to the north), is the birthplace of inventions and advancements that have changed the world—Boeing, Amazon, Microsoft, and... tuna casserole? Yes, while I was researching this topic, I stumbled upon the little-known fact that the combination of three unlikely ingredients (tuna, mushroom soup, and noodles) was first thought of here in Washington State, but like Starbucks coffee (also from Washington), it has received mixed reviews. 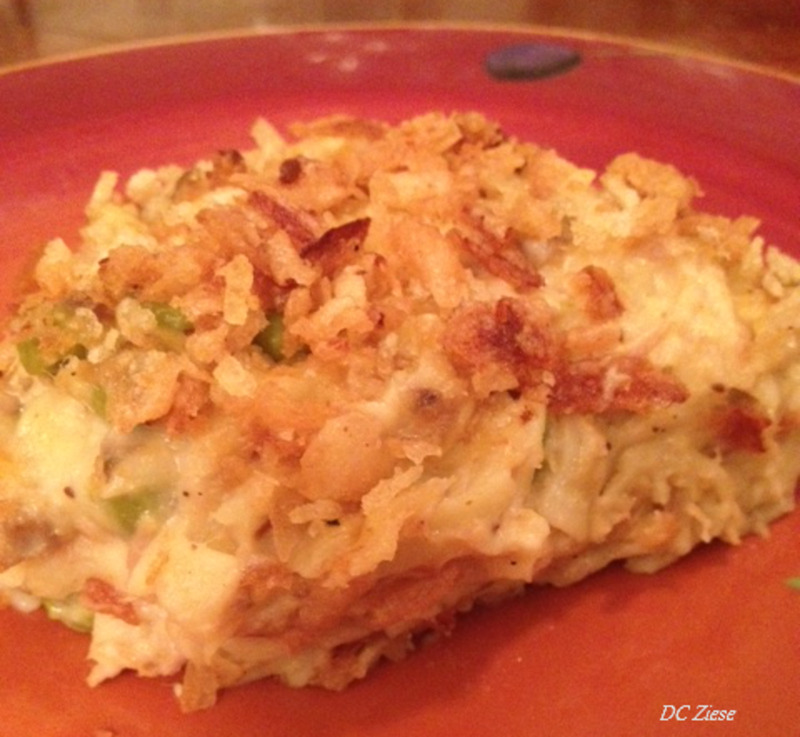 You might assume that the tuna casserole was a post-World War II invention of middle America, but you would be wrong. 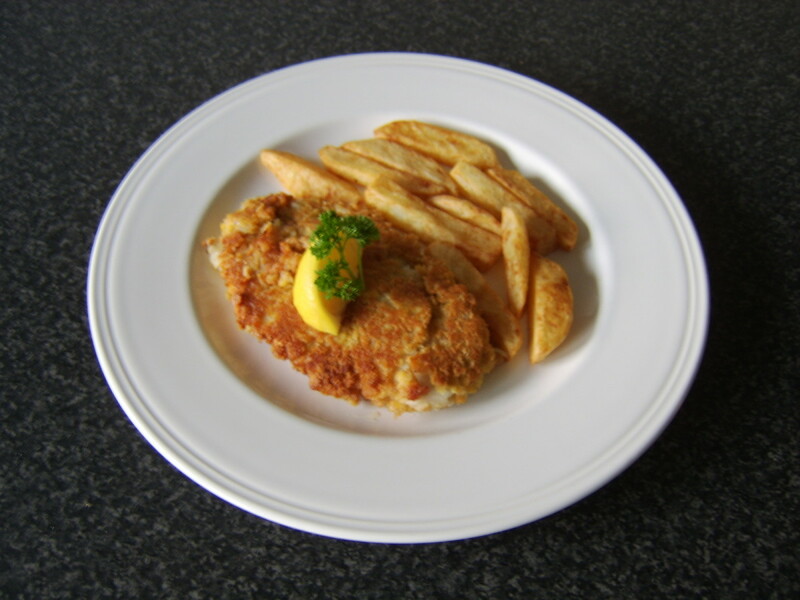 The first published recipe for 'Noodles and Tuna Fish en Casserole' was penned by Mrs. W.F.S. of Kennewick, Washington and printed in a 1930 issue of Sunset Magazine. Mrs. W.F.S. made a white sauce for her creation, but beginning in 1934 cooks simplified the recipe by substituting that new product from the Campbell Soup Company—cream of mushroom soup. And then, Ellen Brown (no relation to Helen Evans Brown) entered the scene. She is the founding food editor of USA Today and a prolific cookbook author. 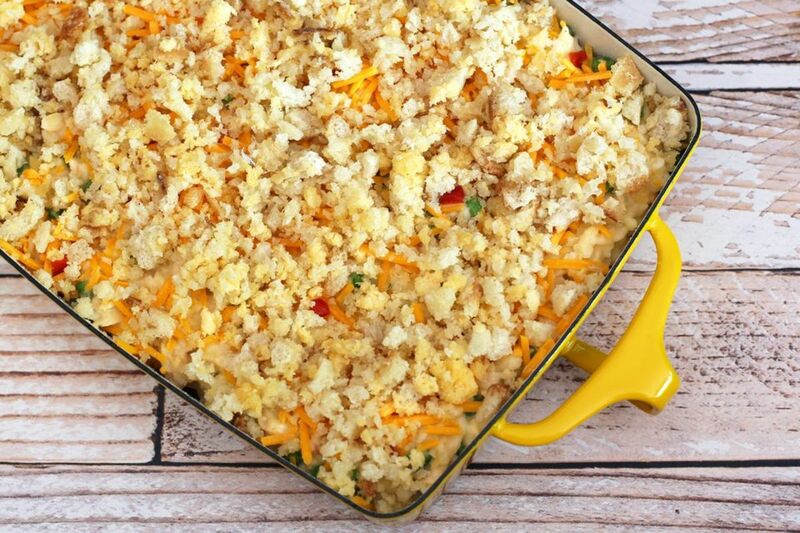 In 2012 she published “Mac and Cheese: 80 Classic & Creative Versions of the Ultimate Comfort Food.” According to NPR (National Public Radio), right between the recipes for Sherried Mac and Cheese and Mayan Chipotle Chicken Mac is a recipe for (yes, you guessed it) tuna noodle casserole. Ellen Brown chose to “upgrade” the classic by ­­ditching the cream of mushroom soup substituting in its place a “white sauce made from scratch.” Here's her recipe. A few other variations of the original are given below. 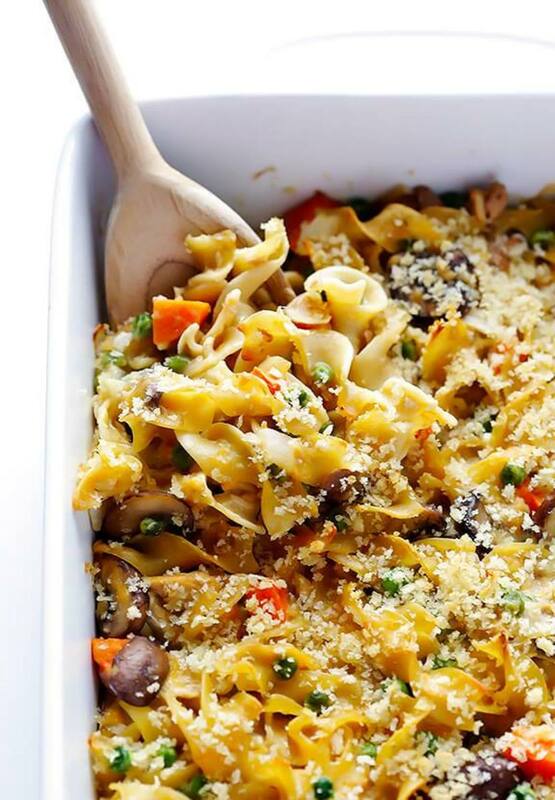 Fresh mushrooms, fresh vegetables, and goodbye cream of clump soup. 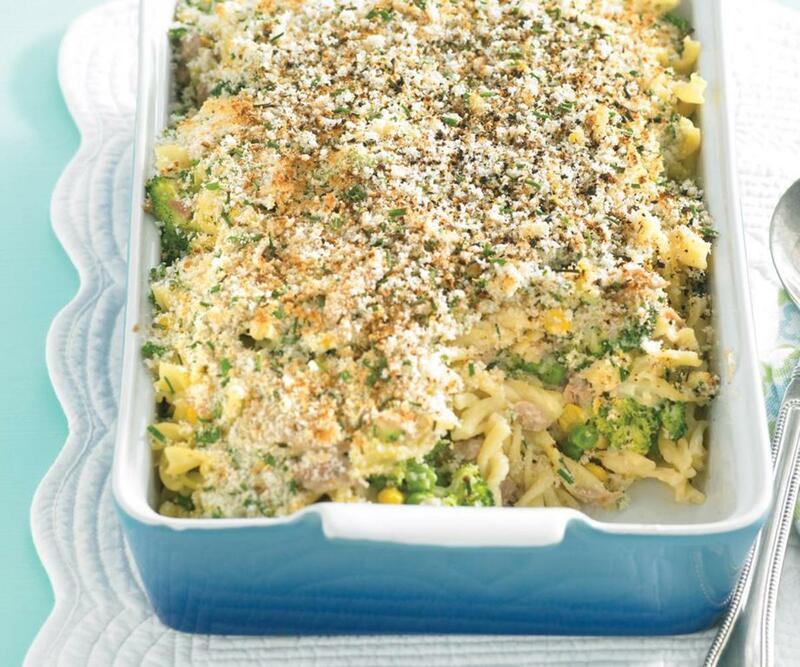 This version of tuna casserole is lighter, fresher, more colorful and healthier. You know you want this. The cream of mushroom soup is still there, but the flavors in this dish are enhanced with the addition of fresh mushrooms, sour cream, cream cheese, grated Colby cheese, and a topping of crispy fried onions. 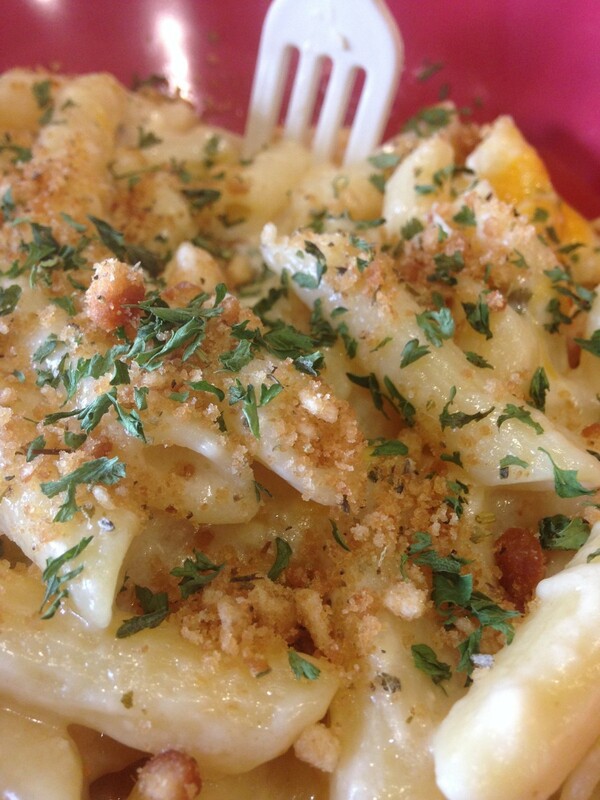 With all that cheesy creamy goodness, how can you go wrong? Isn't it odd that an air of sophistication seems to enshroud any dish given a French-sounding name? 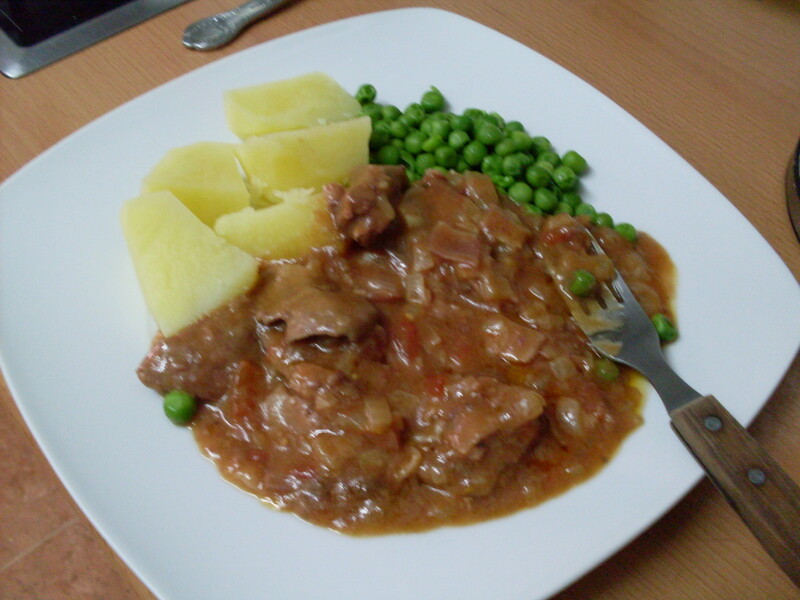 This recipe was adapted from an article featured in Australian Women's Weekly. Preheat oven to 350 degrees F. Grease six 1½-cup (375 ml) ovenproof dishes. Cook pasta in large saucepan of boiling water until tender, drain. Meanwhile, melt butter in medium saucepan; add flour, cook, stirring, 1 minute. Gradually stir in milk, cook, stirring, until sauce boils and thickens. 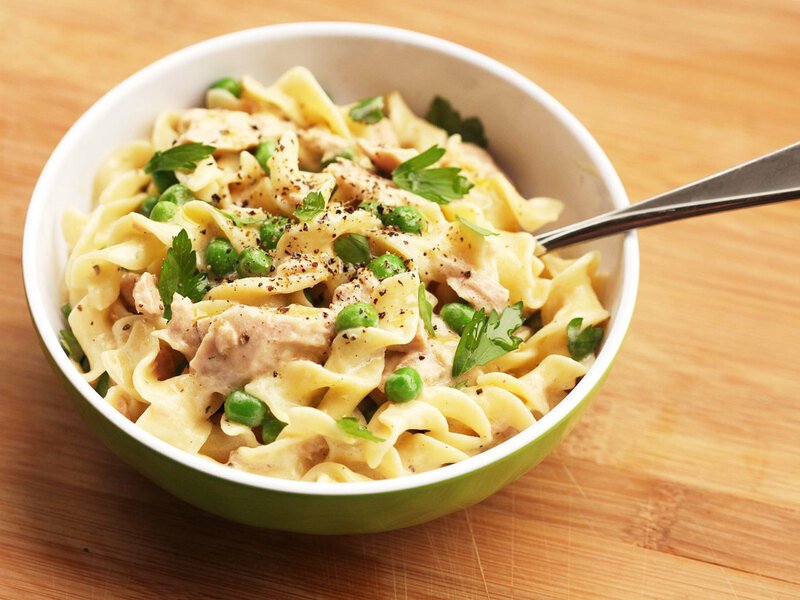 Combine sauce, tuna, peas, shallot, parsley, rind, juice, and pasta in large bowl. 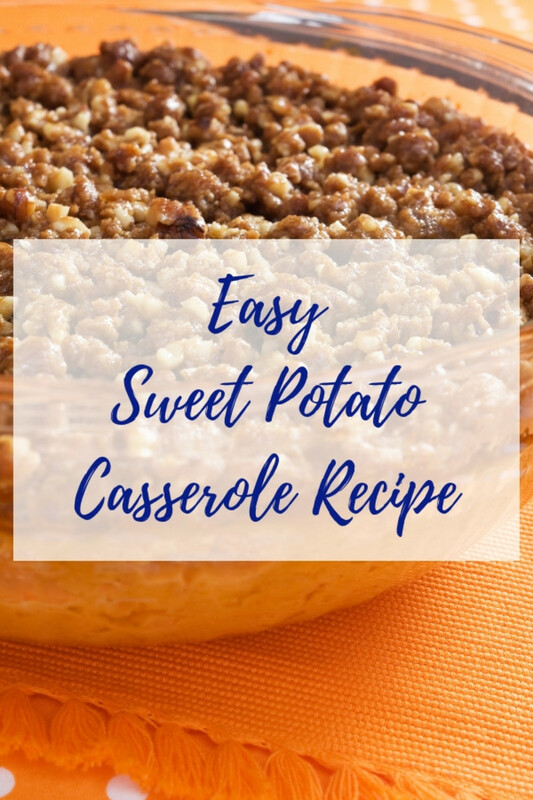 Spoon mixture evenly into dishes, sprinkle with combined cheese and breadcrumbs, dollop with extra butter. Bake about 30 minutes or until browned lightly. Stand 5 minutes before serving. 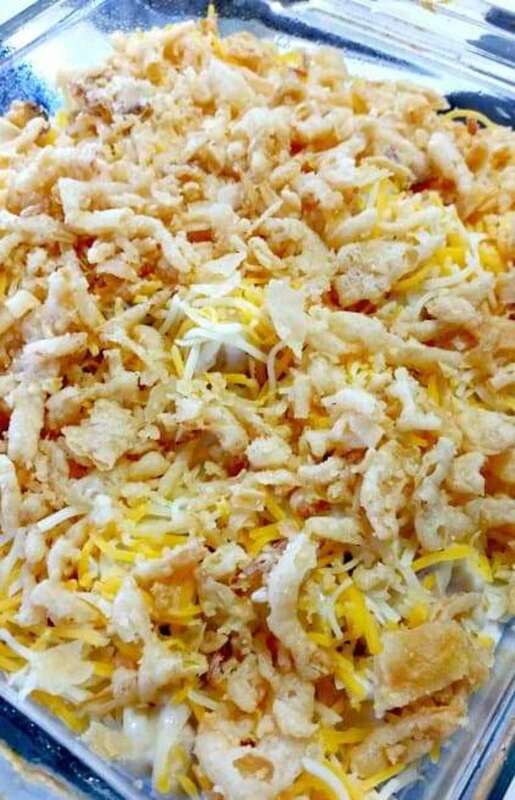 This tuna rice casserole starts with 4 cups of hot cooked rice. The author probably assumed white rice, but I think you could easily substitute 4 cups of brown rice. It has more flavor, more fiber, and is better for you. This really is a one-pan dish. The pasta cooks in a shallow pan and then is drained of all but one cup of the water, stir in the sauce, then flaked tuna and your peas. Warm gently. Boom. Done. Note that you must use creme fraiche, not sour cream. 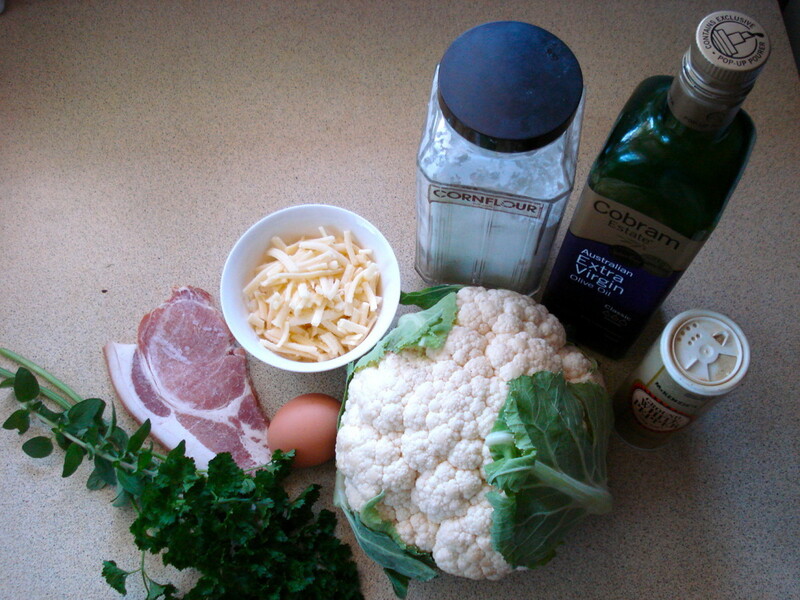 If you cannot locate creme fraiche at your grocers, here is a link for how to make your own. What (you might be wondering) are zoodles? The kitchen gadget of 2017 is the spiralizer; a nifty little hand-held machine that spiral-slices vegetables into long strands. This recipe uses zucchini, so the author of the casserole calls them "zoodles". 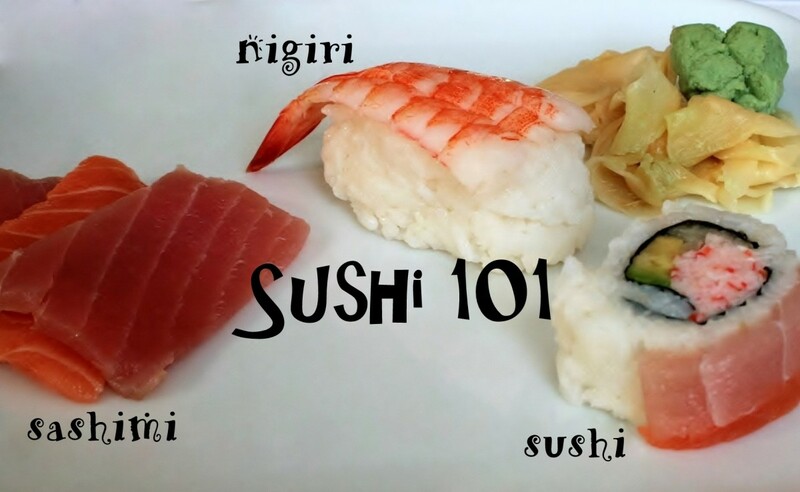 This is great for anyone watching their carbs or who is gluten sensitive. Tuna casserole gets a serious upgrade with this version. 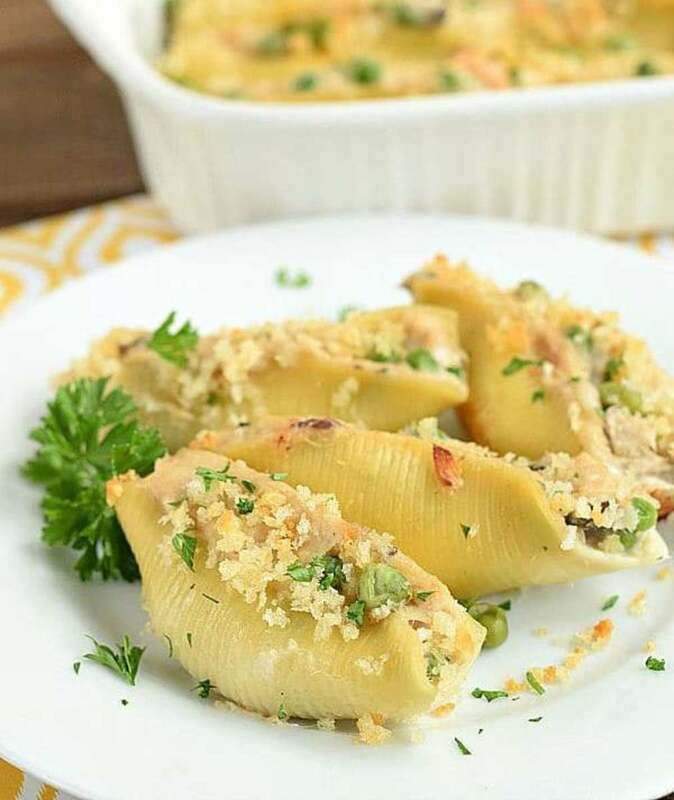 Stuffed shells make a beautiful presentation, maybe even good enough for company. Linda, yeah for it being fixed. Thank goodness for that. I bet it has. My newest hub received crickets, until Billybuc stopped by over this weekend. My pleasure my friend. It's the least I can do. I'm amazed. We might see tuna casserole into a different light now. Kristen, if the people who manufacture canned tuna suddenly see an upswing in sales, I think they have me to thank. I've got you and Flourish interested, and even billybuc might be whipping up a batch in the near future (can you believe it?!). Thanks for stopping by, and I think the issue with notifications has been fixed. I hope the powers that be at HP issue an explanation, that they have identified what went wrong and that they have set in place safeguards so that it will not happen again. I think this snafu affected the earnings for a lot of people. Flourish, the closest my mom would ever get to fish was fish sticks which tasted pretty much like nothing (are you sure we weren't raised by the same mother?). I'm going to buy a spiralizer for my older daughter. Her birthday is in just a few weeks and she is a veggie freak and tries to avoid carbs (yes, MY child, can you believe it?). Linda, I haven't had tuna casserole in ages, even in the frozen meal variety. I would love to try to make it someday for a change. This was intersting and insightful to shake things up with those alternatives. BTW, my notifications from HP aren't missing, when I checked my Gmail though. Hope HP fixes that problem. 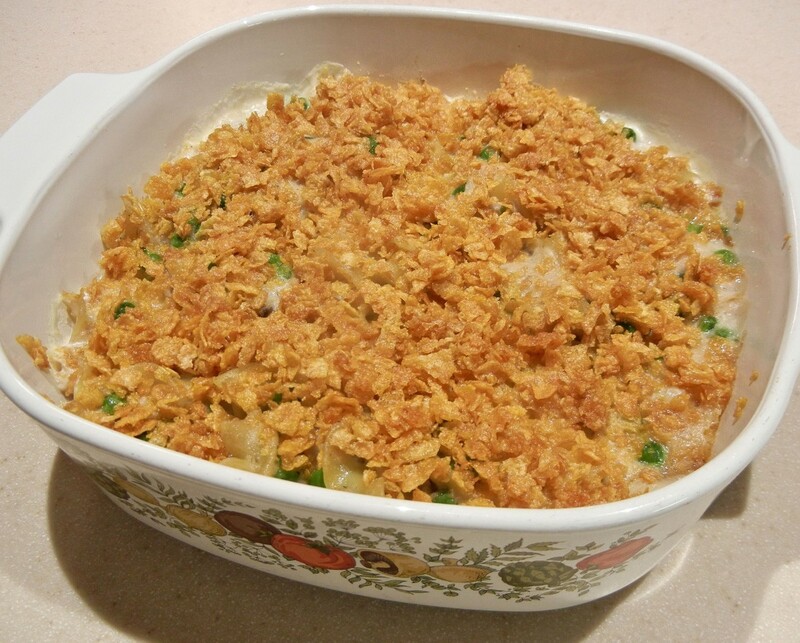 Call me crazy, but I've never had tuna noodle casserole. Not one time. 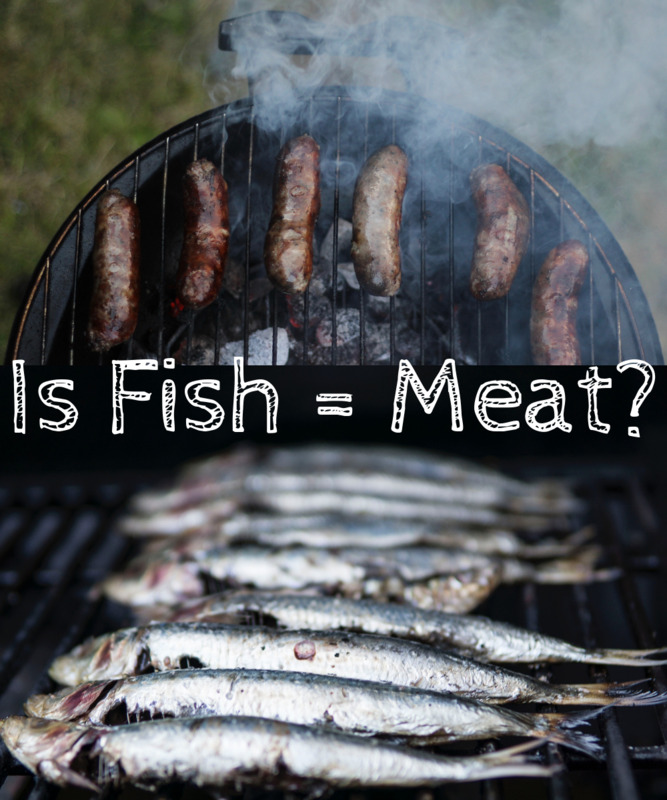 Although my father eats darn near anything, my mother is a picky eater and hates fish so my family never had anything fishy growing up. She'd sometimes tolerate tuna sandwiches but only in a pinch. I am, however, going to start spiralizing my vegetables! That's a kitchen gadget I must get. Bill, no one could have been more surprised than I, but believe me, I checked numerous sources. 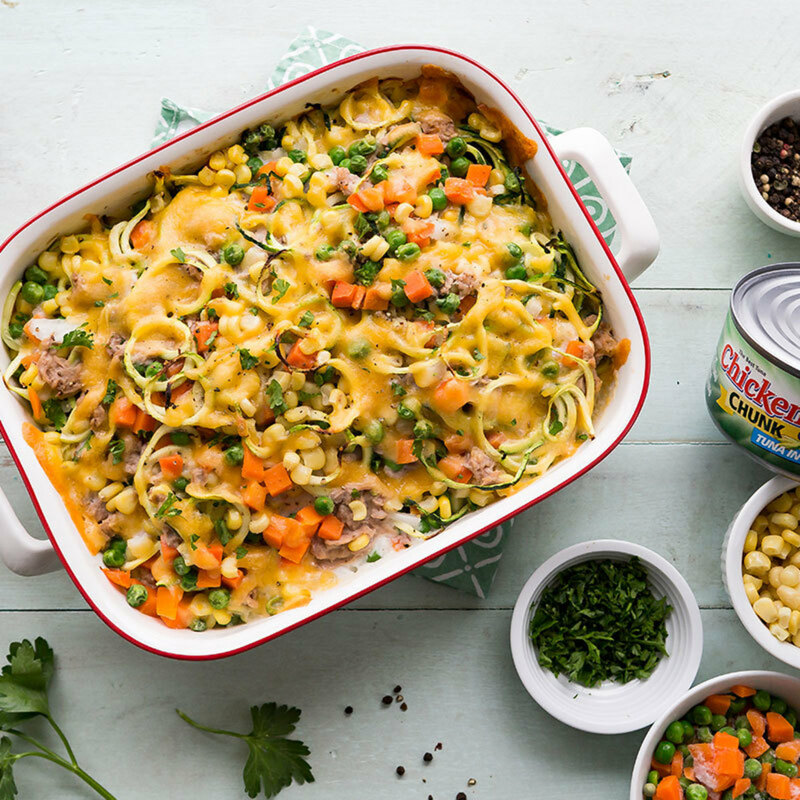 I guess there are a lot of bad tuna-noodle casseroles out there (as I recall it was a standing joke on Welcome Back Kotter), but for me, it's one of those comfort foods that I never grow tired of. I always (with a capital A) put green peas in mine, but maybe I should throw caution to the wind one of these days and try one of the more "grown-up" versions. Seriously? It was invented here in Washington? I've been eating this since I was a little kid. It's my go-to meal when I want to make a batch of meals for the week. Thanks for the recipes. Maybe I'll try a little variation for a change.